There are a range of different betting strategies and techniques that you can use in 2019, but which ones are the best and offer the most profitable returns? In this article, we’ll look at a number of the key betting strategies as well as how they work and how much you can expect to make. As you may or may not know and despite what people might tell you, there isn’t just one betting strategy out there. There are many different ways you can increase the profitability of your betting in 2019. The first betting strategy we’re going to look into is called matched betting. You may also hear it referred to as double betting or no risk matched betting. Either way, they mean the same thing and it’s certainly one of the most popular methods of making money through betting in 2019. With this betting strategy, you use a method called back and lay betting which allows you to profit from bookmakers free bets and promotions. Back and lay betting is a risk free strategy that doesn’t involve any chance like normal gambling. This means bettors can make a guaranteed profit without worrying about the outcome of their bets. As you may have worked out, this betting strategy is not strictly gambling so it may not suit everyone. That’s not to say normal punters don’t use matched betting, it’s a versatile betting strategy that you should certainly consider in 2019 and one that will definitely help you make a great second income online. How does this matched betting strategy work? Ok, so now you know a little more about matched betting, let’s look at how it works. As I mentioned earlier, matched betting is based around a concept called back and lay betting. This method involves placing two opposite bets, to ensure a profit is guaranteed and nothing is left to chance. It requires the use of a betting exchange which may be a new term to some of you. These platforms are online marketplaces which allow bettors to act as the punter and sell a bet. By placing a bet on an outcome to happen and then placing an opposite bet on the outcome NOT to happen, you end up where you started. This allows you to qualify for the bookmakers free bets without losing any of your own money. All in all, you can make up to £1000 each month using this betting strategy and it’s one of my personal favourite betting techniques to use in 2019. For more information on how matched betting works and how to get started, check out this article – What is matched betting? The second betting strategy we’re going to look at is sure betting or arbitrage as it’s sometimes called. Sure betting is another popular betting strategy in 2019 and it has a number of similarities to matched betting. This method involves taking advantage of a difference in price between bookmakers odds. By placing two bets, both at different prices, you can guarantee a profit regardless of the outcome of your bets. The aim of this betting strategy is to find as many price differences as possible. The more you find, the more money you make. It’s that simple. Thanks to more comprehensive technology in the modern world of online gambling, the bookmakers have got better at making their odds more consistent with the rest of the market. It’s therefore harder to find markets with a large discrepancy in odds. However, markets with smaller price differences are still out there, it just takes a little more effort to find them. Most bettors who take part in this betting strategy use specialist software to find the most profitable markets. Whilst you won’t make hundreds from each arb you place, over time you can generate a great income to add to your overall betting strategy in 2019. All in all, certainly a great strategy to consider in 2019. The third betting strategy we’re going to look at is taking advantage of bookmakers welcome bonuses and promotions. If you’re new to the betting world, you may be surprised at the number of free bets and other promotions the bookmakers hand out to new and existing customers. At the time of writing this article in 2019, there is over £1200 in free bets for you to profit from. There are a number of ways you can take advantage of these free bets. You could use the matched betting method mentioned above or simply gamble with the free bets in the aim of winning big. Either way, you should never turn down free money, especially in the world of betting. Most online bookmakers offer some kind of promotion when you sign up meaning you can get started with this betting strategy right away. This strategy is pretty self explanatory. Simply sign up for a new bookmaker account and place your first bet. You may need to activate a link or sign up through a certain landing page to ensure you gain access to your qualifying bet. Once your qualifying bet has settled, you should be able to access your free bet or bonus. As I mentioned earlier, there are countless online bookmakers all offering their own unique sign up promotions and free bets meaning there is plenty of profit up for grabs. Overall this is certainly another betting strategy you should consider adding to your portfolio in 2019. The Kelly Criterion betting strategy may be a new method to some of you so here’s a little introduction to what it is and how it works. This betting strategy is perfect for working out how much you need to stake on your bets. The method works by giving punters a mathematical edge over the bookies. The formula is designed to calculate the optimum stake by working out the expected return from your bet. This may seem quite advanced to you at the minute but trust me it’s a lot easier to understand when it’s broken down. So what do each of these mean? As you can see, this is quite an advanced betting strategy and I recommend you should only use this strategy if you’re an experienced bettor. For any beginners that are put off by the mathematical side of this betting strategy, not to worry. I suggest you come back to it once you’ve got a sound knowledge of the betting industry and the other betting strategies on this list. 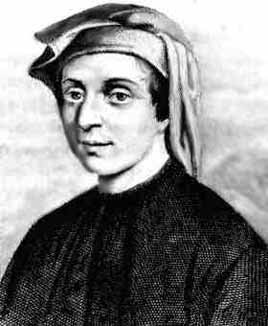 Here’s a picture of Fibonacci, the Italian mathematician who created the Fibonacci sequence. Right then, how does it work? The Fibonacci betting strategy is rather simple in that it suggests you bet on a draw in football. And you keep betting on a draw until you win. If your bet loses, you keep placing a bet until you become successful. You shouldn’t bet on any draw however. There are a few criteria that must be met. The draw must have decimal odds of at least 2.618 and you must keep increasing your stake every time you place a new bet. You must also follow the Fibonacci sequence in terms of your stake amount. The sequence goes like so: 1, 1, 2, 3, 5, 8, 13, 21 etc. This betting strategy has been around for quite a long time, since 1989. It’s based on the principle that the draw is the most difficult market for the bookmakers to correctly predict. As long as you keep increasing your stake, any losses will be negated by your eventual win. You can see why this betting strategy is not for the faint hearted and you may also need a huge betting balance available just to make this strategy pay off. All in all, I’d give this betting strategy a miss unless you know exactly what you’re doing. Overall, there are certainly some great strategies to employ above. Whilst you don’t need to use all of them at once, I recommend you use a combination to get the most out of your betting in 2019. Which betting strategies are you going to use in 2019? Let me know by leaving a comment below right now.